Winner of many Car Of The Year awards is the excellent new Volvo XC90 SUV Diesel. In essence, the new big SUV from Volvo wins because it is the most complete vehicle in its class. Pick any category like Comfort or Performance, and the new Volvo XC90 SUV Diesel delivers exceptionally well. Drive one, and you’ll see what I mean. A new-look, streamlined body, that has shed a few pounds, provided sharper lines and has enabled a more dynamic handling package, looks really good from any angle. Narrower headlights, a lower centre of gravity aided by a low-slung roof-line and large wheel arches gives the XC90 SUV Diesel a great poise. Elegance is not always easy to marry with muscle; but with this exterior design, Volvo has done a superb job of making the heartstrings strum to a melodious tune that captures the heart of any onlooker. The Volvo XC90 SUV Diesel has an elegant form that is able to present itself in a graceful way for inner city night life or a romantic weekend at a holiday resort. 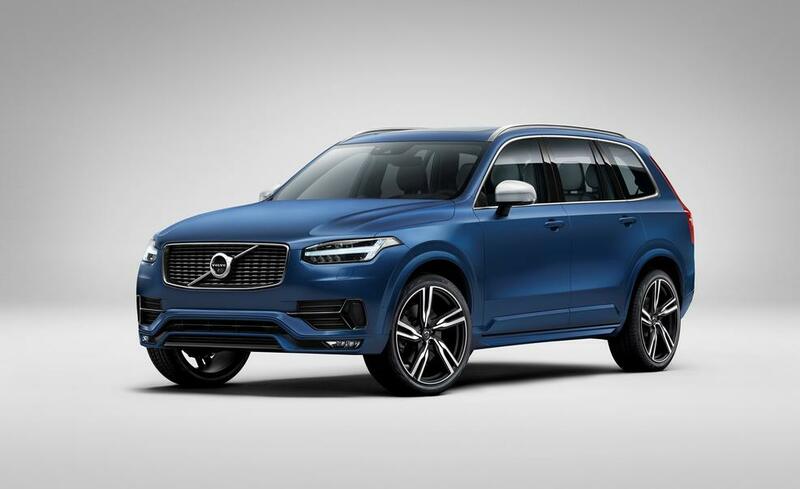 Then there are the toned muscle lines and curves that can be seen in the new XC90 design that empower the new Volvo SUV to strut its stuff against the likes of a Range Rover, BMW X5, Porsche Cayenne or Audi Q7. These are big SUV names, and the stylish new Volvo is self-confident and entertaining up against any SUV competition. Look and step inside the new Volvo XC90 SUV Diesel, and the smiles continue. This large SUV is a very well-dressed and luxurious flagship. Sometimes simplicity is the ultimate in sophistication, and the attractively laid out XC90 is very modern and exclusive. A very crisp instrumentation cluster behind the steering wheel is superbly clear and easy on the eye, and the blue back-lighting looks exquisite. Vehicle speed is displayed in digital as well as analogue form. The gear selection is also displayed inside the circular rev counter. Steering-wheel mounted controls are symmetrically mounted and can be used by the driver to control volume for audio systems. Voice control is a standard feature, and the new Volvo XC90 SUV Diesel has modern features like Bluetooth communications, satellite navigation, speed limited cruise control and accident avoidance systems. The luxury continues with fully electronically adjustable heated-and-cooled front seats. Exquisite leather upholstery throughout the cabin feels so deluxe in its ability to make each trip superbly comfortable and relaxing. Seven seats are standard, and the room in the new Volvo SUV is first-class. A large media screen is located in the wood-grained dash fascia, and it is as good as it gets for being a central control for nearly all on-board information, comfort, audio and entertainment functions. Being similar to most iPads in the way the touch screen carries out its tasks, it is so easy to use and familiar. Zoned climate control throughout the Volvo XC90 ensures all occupants are perfectly happy with their cabin temperature. There is some really nice interior detailing that sets the Volvo apart from rivals. Perhaps, the crystal gearshift lever and the massage functions on the lumbar support seating functions are worth a mention. Performance in the new Volvo XC90 SUV Diesel comes down to the very punchy new 2.0-litre turbo-diesel engine that provides a massive 470 Nm of torque linearly through the rev range, and when linked to the smooth and seamless eight-speed automatic, the XC90 is a dream to drive. With different driving modes, like, Comfort and Off Road, the vehicle adapts to your driving style and needs. Though often not as fuel efficient as manufacturers claim their vehicles to be, there is good evidence that the new Volvo XC90 SUV Diesel should return under 7 litres/100 km. This is class leading for such a roomy SUV. Safety is packed into every inch of the brand new Volvo XC90, so you are in safe hands when you buy one of these benchmark vehicles. On the road, the Volvo XC90 has excellent dynamics, with plenty of grip and well controlled body roll. Acceleration is good, and there is plenty of power to run well past legal road limits with ease in effortless quietness. A 0-100 km/h run can be completed in around 8 seconds. For any more information on the Volvo XC90 SUV or, for that matter, any other new car, contact one of our friendly consultants on 1300 303 181. If you’d like some fleet discount pricing (yes even for private buyers! ), we can submit vehicle quote requests out to our national network of Volvo dealers and come back with pricing within 24 hours. Private Fleet – car buying made easy!